Master of World of Warcraft : Do you want to make some gold before WoD? Do you want to make some gold before WoD? The scenario usually nets me between 400-600g for a 5 minute run - depending on class/buffs & some luck with the chests regarding keys. If you are not decent geared, it helps to do the dailys first so you get the buff from the crystal. For Transmogg Fans or Transmogg sellers - most of the mobs on the isle have a chance to drop parts of a Zul Aman recolor set (Amani Raiment Sets) that are very popular with leather classes (esp. 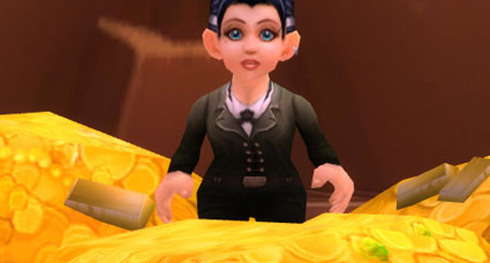 people pimping out their monk twinks), so watch your loot and check the AH.